Well, that’s our weekend gone then! It’s finally here! You can now get your hands on the brand-new FIFA 15! So EA Sports (the geniuses who make FIFA just so, so good) have officially declared September 26 2014 will now be known as FIFA 15 Friday in celebration! 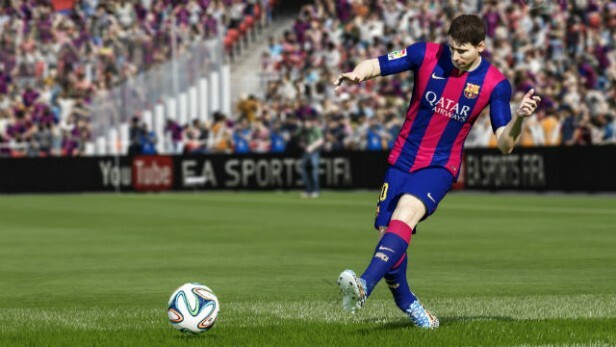 The latest in the FIFA line-up came out at midnight (September 26) and is available on PlayStation, Xbox and PC! Cover-star Lionel Messi is – surprise, surprise – the highest-rated player in the game, with a huge rating of 93! The biggest change you’ll notice when you open the game is that you can now play as absolutely any Premier League stadium! Say hello to the glamour of a rainy Tuesday trek to Hull!